You’re already drinking this holiday season - why not throw some booze in the batter? These butter rum balls are a nice complement to a cheese plate or prelude to a rich roast. In a large bowl, cream butter with 3/4 cup sugar using a hand-held mixture. Beat in egg yolks and rum flavoring. Gradually add the flour, using hands to knead in last of it. When the dough is smooth, shape into rolls about 1 1/2 inches in diameter, wrap in waxed paper and place in the refrigerator. Chill for at least 6 hours or overnight. Cut into 1/4-inch slices and roll each slice with hands to form a ball. 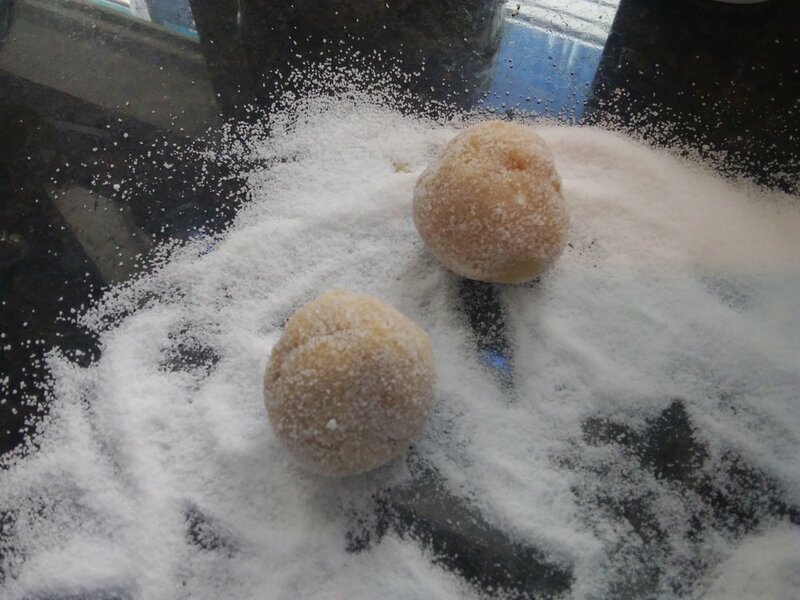 Roll balls in a mixture of the remaining 1/2 cup sugar. Preheat over to 350 degrees. Line two baking sheets with parchment paper. Place on cookie sheet and bake for 10-12 minutes.